Colwel Platinum Entertainment announced today that a resolution has been reached with Grammy®-nominated artist Adam Lambert. Adam Lambert "Beg for Mercy"
Beg For Mercy showcases the rock-influenced vocals and songwriting style emblematic of Lambert’s early career. “The Colwel Platinum Entertainment lawsuit against Adam Lambert has been resolved. Adam has withdrawn any objections to the release of ‘Beg for Mercy’ and he has approved the use of his songs and performances in these pre-Idol recordings which are interpretations of his artistic vision at the time." Colwel Platinum sought to distribute recordings that were recently released as Beg For Mercy (case number CV11-9062-PA (MANx), an album featuring 10 tracks co-written by Lambert and Madonna guitarist Monte Pittman. 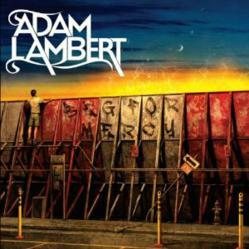 Each of the ten tracks was recorded prior to Lambert’s rise to international fame as a contestant on the eighth season of the FOX television show American Idol. Beg For Mercy showcases the rock-influenced vocals and songwriting style emblematic of Lambert’s early career and is now distributed in retail stores and digital outlets.